For over 6 decades, Hayward Gordon has been supplying agitators to major mining companies. Since then they have expanded to include many different types of industrial equipment solutions such as, pumps, mixers, strainers and filtration systems, and other pumping systems. With all their experience in developing and engineering pumps and mixers, Hayward Gordon products and equipment have improved to be more efficient, reliable, and long lasting than competing brands. Product designs are highly efficient to save cost when you choose Hayward Gordon. As a global supplier of industrial pumps, mixers and engineered systems, Hayward Gordon can sufficiently meet the needs of an ever changing world market by maximizing their value through expanded market coverage, active product development, and synergistic acquisitions. 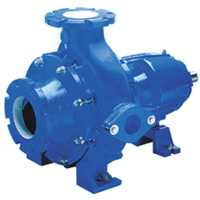 There is a wide range of Hayward Gordon pumps to choose from for your application. Their pumps are found in some of the world’s toughest applications. Hayward Gordon’s chemical processing, centrifugal, sanitary, and solids handling pumps can be counted on to be efficient, reliable, safe, and ready to meet your application needs. 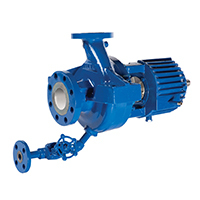 Hayward Gordon CHOPX pumps function dually with cutting and pumping capabilities. They are made for applications that require solids size to be reduced or where downstream equipment needs protection. The clamp type construction enables the wet end to be constructed of wear resistant materials to maximize component life against abrasives. CHOPX pumps are typically found in waste treatment, pulp and paper, and food processing industries. Configurations included direct drive, vertical dry pit, vertical line shaft, v-belt drive, submersible, and vertical cantilever. Materials of construction include Ni-Hard, Super Ni-Hard, High Chrome, Tool Steel as well as Cast Iron and High Alloy materials. 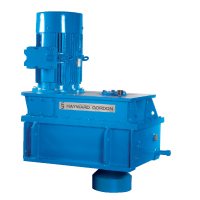 The Hayward Gordon XCS series pump is a screw centrifugal solids handling pump that can handle thick sludge, large or stringy solids, shear sensitive fluids, and delicate materials. 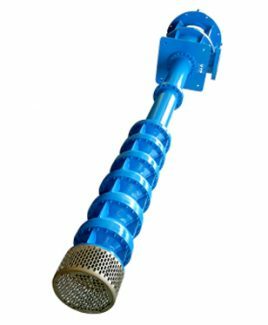 The open channel screw centrifugal impeller provides gentle, clog free pumping with high efficiency and non-overloading characteristics. Drive configurations include direct drive, v-belt, vertical dry pit, and submersible. Materials of construction include Ni-Hard, Super Ni-Hard, High Chrome, Tool Steel as well as Cast Iron and High Alloy materials. 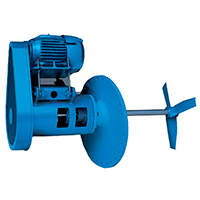 Hayward Gordon’s Torus Series is a recessed impeller or vortex pump, which has a semi-open impeller recessed into the rear section of the volute away from solids being pumped. The XR and R series are equipped with a wear ring to protect against abrasion of expensive parts, while the RS has no wear ring but has the highest efficiency of vortex pumps. 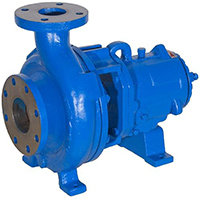 Torus pumps can handle large soft solids, long string or fibrous materials, fragile solids, slurries, and sludge with highly abrasive solids. Drive configurations include direct drive, v-belt, vertical dry pit, vertical cantilever pump, and submersible. Materials of construction include Ni-Hard, Super Ni-Hard, High Chrome, Tool Steel as well as Cast Iron and High Alloy materials. Hayward Gordon Top Entry Mixers handle some of the toughest applications in mining, chemicals, and petrochemicals. They come with CFD modeling, the latest impeller technology, and lab testing with scale up capability. The N Series is specifically for mixer service. The ST-Series is ideal for medium size tanks with a helical gear design. The MB series are ideal for tough applications such as harsh chemicals or mining. The LH series are designed for extreme loading condition common to mizing applications which require large gear reducers. Hayward Gordon Side Entry mixers have some advantages in design, installation, operation, and maintenance over other mixers. The PSE and SHARPE series can fit applications that include petroleum, pulp and paper, and asphalt. They have a durable rugged design and have high tank turnovers. The swivel design minimizes build-up and tank down-time while maximizing efficiency. 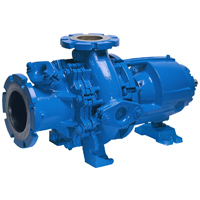 Hayward Gordon ANSIMax Series process pumps are standard ANSI B73.1 centrifugal pumps. The have impeller options of reverse vane, semi-open, and low-flow. Various seal chambers are available with 3 flow modifying versions and to conventional cylindrical bore versions. The FM versions optimize flow patterns to move heat and solids away from the mechanical seal and out of the chamber. Hayward Gordon vertical turbine pumps are used by some of the largest mining companies in the world, reducing their operating and maintenance cost through pump efficiency. The single stage design delivers 3 times the head of a standard VTP pump. They have stainless steel investment cast impellers, polymer rubber bearings, and industry leading deliveries. Hayward Gordon Molten Sulfur pumps can handle some of the harshest environments in the world, capable of temperatures from -40 F to 400 F. These pumps have shown for over 50 years that they can handle the toughest applications for clean or contaminated molten sulfur. 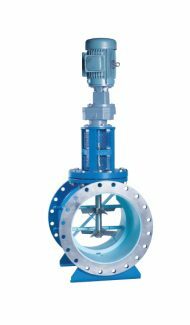 Models available included jacketed vertical lineshaft, jacketed vertical cantilever, and jacketed horizontal pumps. 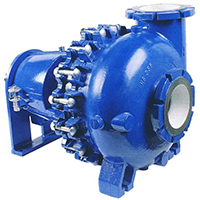 Hayward Gordon API pumps meet API 610 requirements for refinery and oil and gas applications. These pumps are custom engineered to your specifications according to the latest edition of API 610. 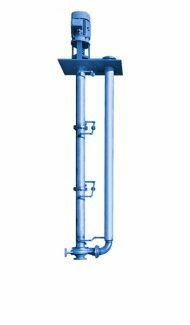 Configurations include high pressure multi-stage, single and two stage, vertical inline vertical turbine and sump pumps. Hayward Gordon In-line Mixers mix process fluid without the need for an additional tank unit. The mixer provides continuous uniform mixing for blending, dispersion, and solids “de-lumping”. The mixers have a low capital cost, low power consumption, compact design, and can handle very high flows with low head loss, while ensuring complete dispersion of coagulants.